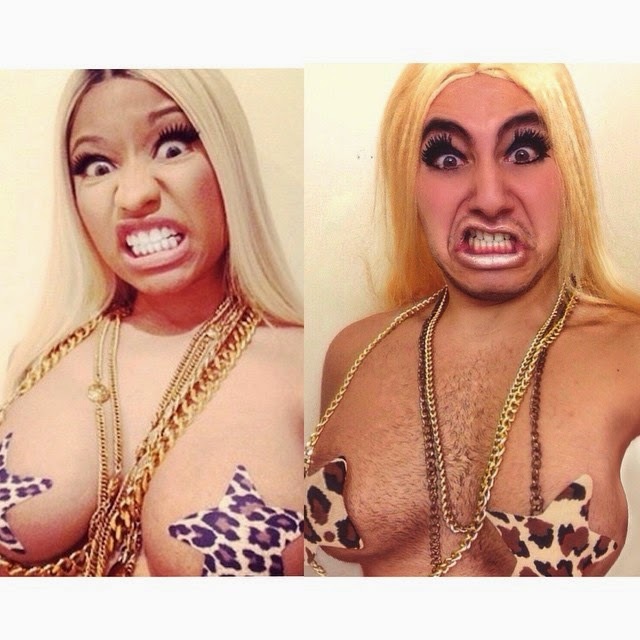 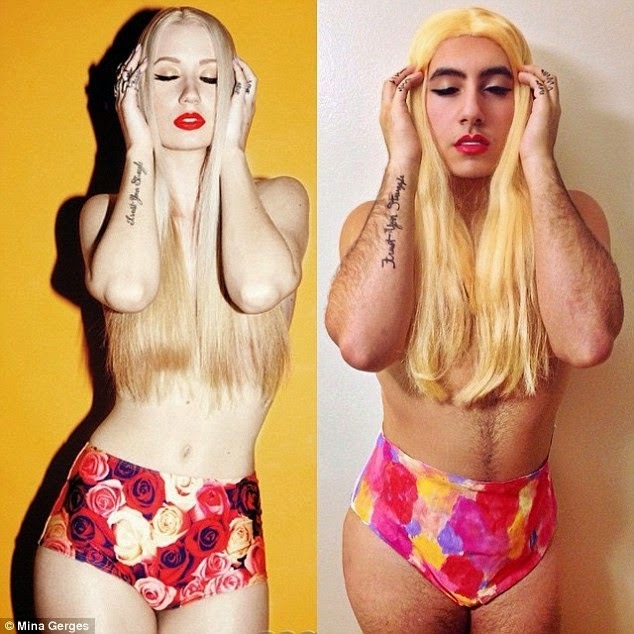 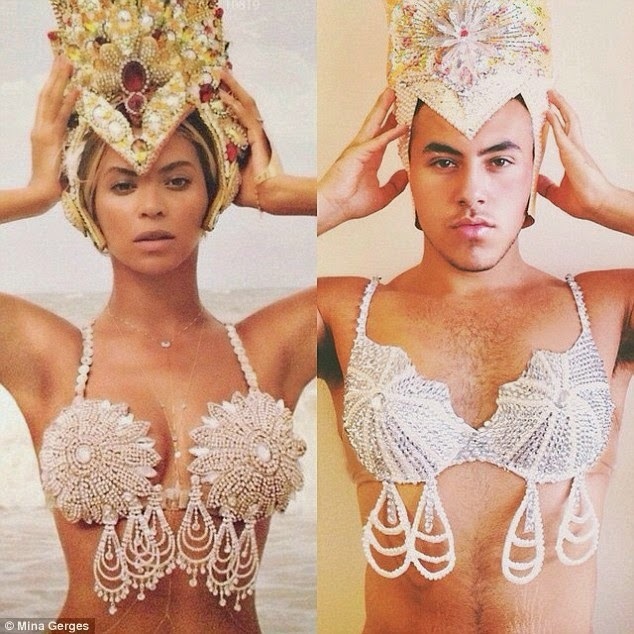 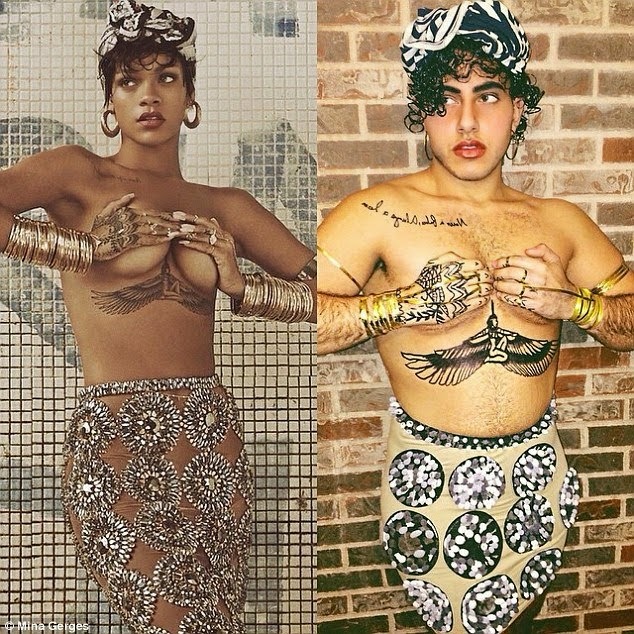 Mina Gerges, a 20 year old man from Ontario, Canada, has been recreating popular photos of female celebrities like Nicki Minaj, Lady Gaga, Beyonce, Kim Kardashian, Rihanna Katy Perry, Iggy Azalea and more. 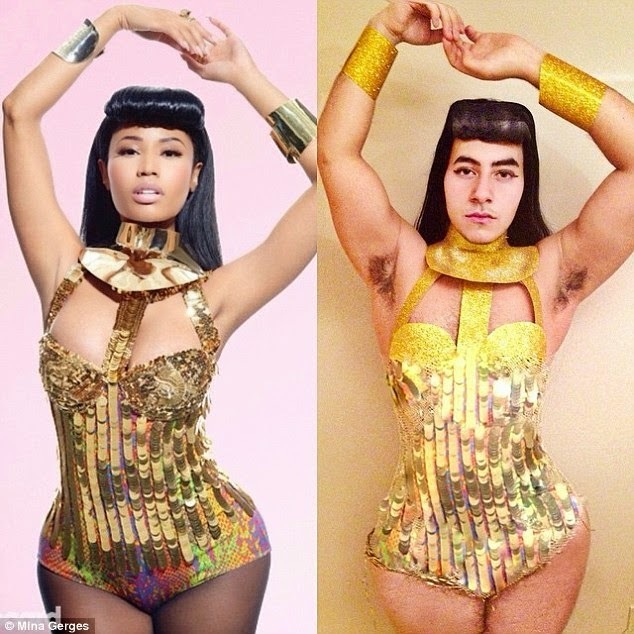 He shares the images to his teeming fans of his Instagram account Keeping Up With Mina. 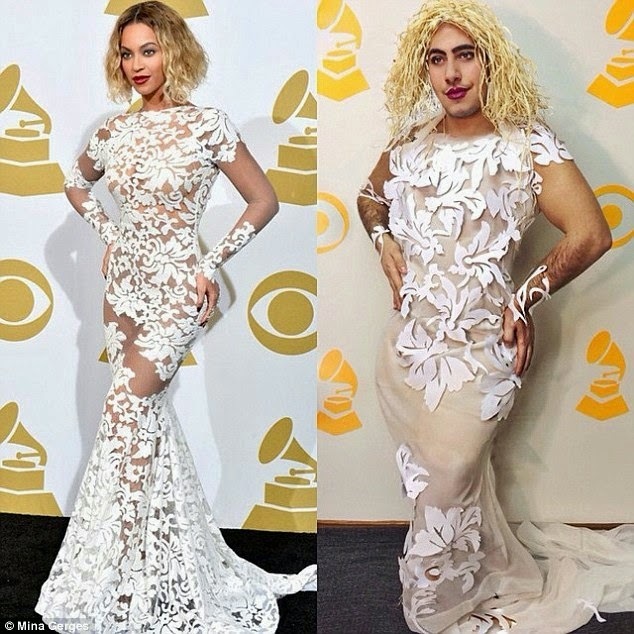 Mina describes himself as a 'Kardashian-obsessed third year media student' on his Twitter bio.